Finished puzzle size is 4"x6" and 1/8" thick. It is packaged in a poly baggy with a stapled top label. 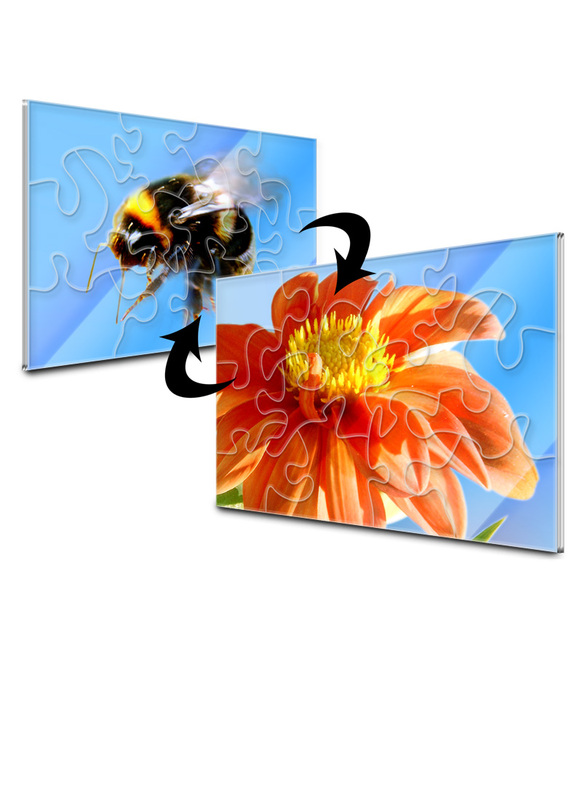 Your 2 chosen images will be adhered between 2 pieces of clear acrylic creating a durable 2-in-1 puzzle with a glass like finish. Unique and fun!